248 Oakland Avenue SE, Atlanta, GA 30312. Inside the cemetery, pull to the right of any paved roadway, leaving space for cars to pass. Parking is also available in a lot outside the cemetery’s front gate or along Martin Luther King Jr. Drive and Oakland Avenue. Enter the main gate on Oakland Avenue and head east to the Confederate section. The front gate of Oakland Cemetery is marked with the green pinpoint on the map below (click it for a larger version). 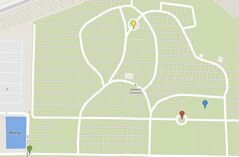 You can park inside the cemetery or outside its front gate, in the blue area on the map below. From the front gate, walk east toward the Confederate Obelisk (the red pinpoint). 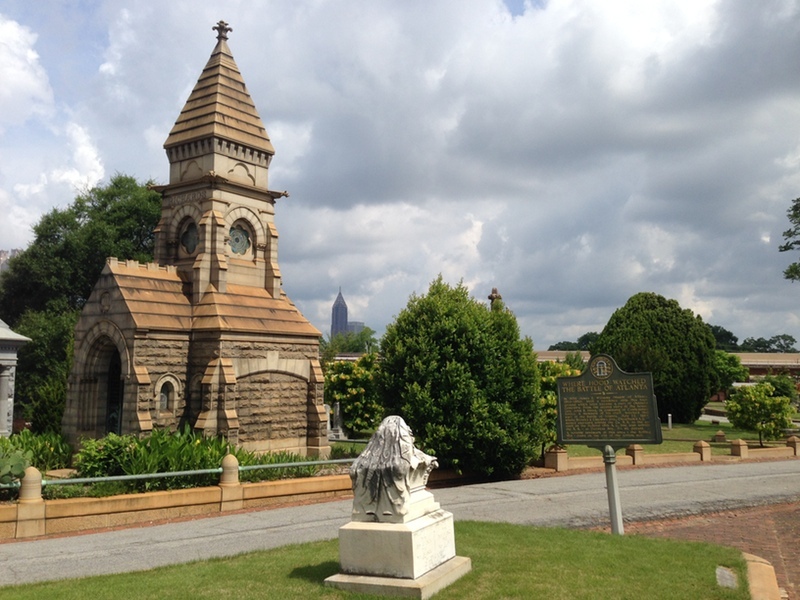 The Lion of Atlanta is a short walk to the northeast of the obelisk (the blue pinpoint). Although it has a fence around it, you can freely enter the gate. 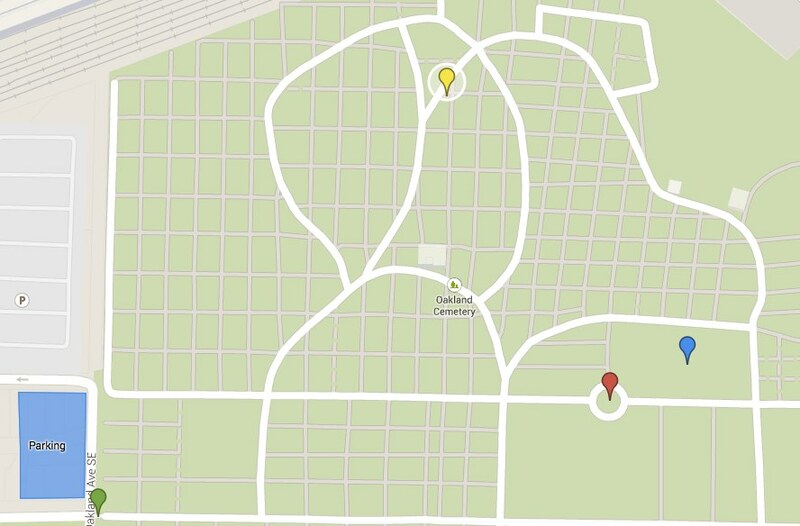 The location of General Hood's observation post is in the north of the cemetery (the yellow pinpoint). A historical marker stands at the spot, with a view of a large mausoleum and the Atlanta skyline.